Cake Decor in Cairns: Top Tip Friday #17 : How to Make Self Raising Flour! 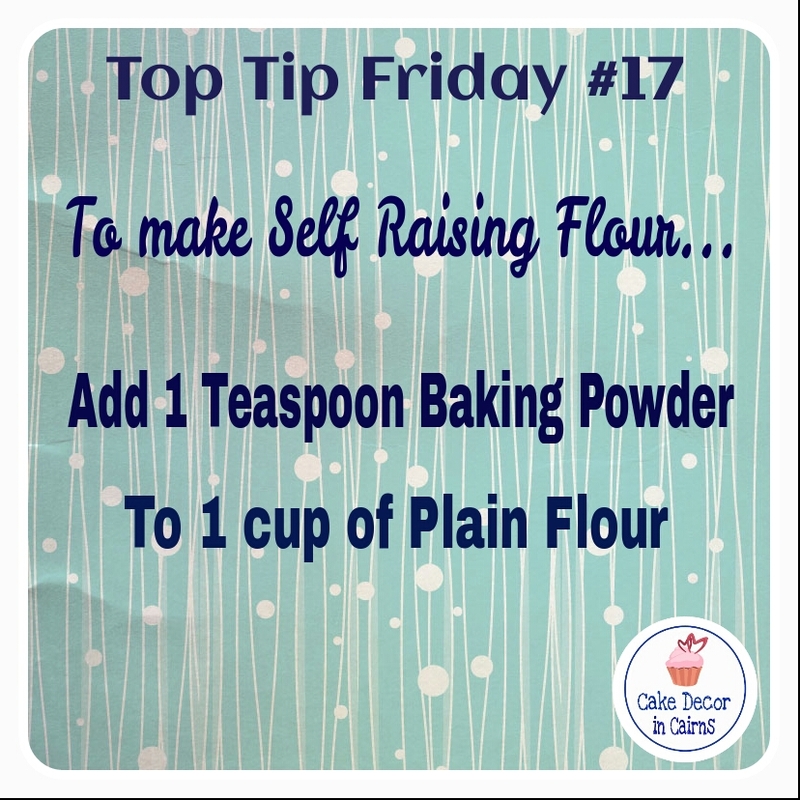 Top Tip Friday #17 : How to Make Self Raising Flour! I have had a super busy week! I can't say it was busier than normal though, just the normal crazy busy that comes with being a mum! But today was extra busy being a workshop day! Phew I am exhausted! I am about to enjoy a hot chocolate and watch a dvd, but before I go here's this week's Top Tip Friday! Lots of recipes floating around call for self raising flour but what do you do when you only have plain flour? Ohhhhhh and if you have any questions about Self Raising Flour and other recipes that call for a higher ratio of baking powder per cup; I found two fantastic articles that help explain everything perfectly!